The Annual Financial Report 2018 is now available. Settlers from New England arrived in the area in the 1830's. At the time of their arrival, the area was completely forested. They cleared the area to make farms and created the region's first roads and structures. They originally named their new home Hanover, but the name was changed to Metamora in 1845, because several other towns in Illinois already had that name. It drew its new name from the main character of a popular play of that time period: The Last of the Wampanoags. As more settlers were lured to Metamora by its fertile soils, the village rose to prominence in central Illinois. Metamora became the county seat of Woodford county in 1843 and held it until 1896. It was during this period that Abraham Lincoln practiced law in the Woodford circuit. Lincoln served in many trials in the Metamora courthouse. His wit, anecdotes, and country charm drew a large audience to his trials. The courthouse still stands and has been preserved as an Illinois state historic site. Since the days of Lincoln, Metamora has continued to prosper. It is rich in small, local businesses and has some of the best schools in the state. Farming is still the heart of Metamora's economy. The village continues to cherish its celebrated past by holding traditional dances, re-enactments, and keeping the doors of their historic sites open. 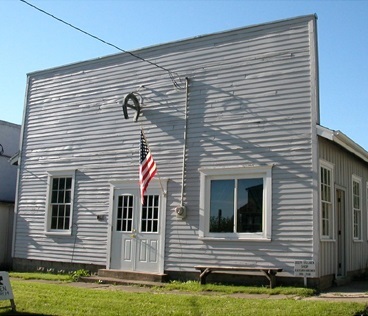 To learn more about the history of Metamora, visit HistoricMetamora.com. The courthouse was built in 1845 as the governmental center for Woodford County and as a court for the former Illinois Eighth Judicial Circuit. The courthouse is best known for being one of only two surviving courthouses on the 8th in Illinois, where future U.S. president Abraham Lincoln practiced law and handled more than seventy cases -- including two murder cases and two harboring slaves cases. 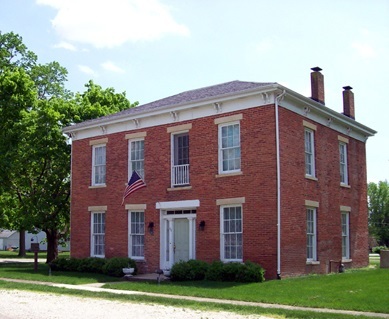 The Metamora Courthouse State Historic Site is open Tuesday thru Saturday, 1-5pm March through October and noon to 4pm November through February. It is also open by appointment and for most events on the Metamora Square. 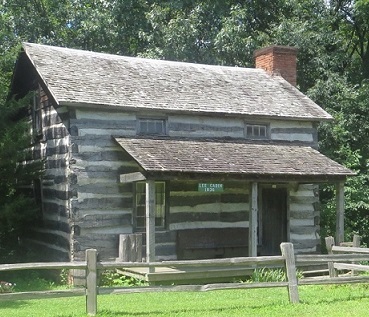 The Lee Cabin, built in 1836 and one of the oldest structures in Woodford County, now occupies a spot in the Metamora Park District’s Black Partridge Park. The cabin is open for tours and is often the site for educational experiences which introduce children to yesteryear. The cabin is open each Sunday from 1-4pm, May through October. The Stevenson House is an austere two-story Federal style structure built before the Civil War. 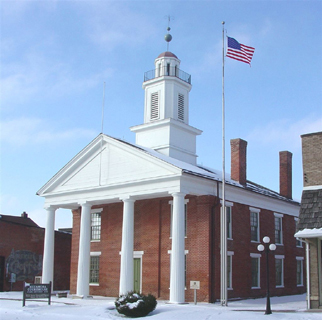 In 1858, Adlai E. Stevenson I began practicing law at the Metamora Courthouse. After his marriage to Letitia Green on December 20, 1866 they moved into this home. In 1868 they moved to Bloomington, IL where he opened his own law practice. The house is open each Sunday from 1-4pm, May through October. Joseph Villiger came from Switzerland to Metamora in early 1906 and leased a local blacksmith shop from Sam Gauteche. For 32 years he worked as a blacksmith and farrier. The blacksmith shop rebuilt in the 1920’s still stands today at 308 E. Partridge in Metamora, Illinois. The shop is open each Sunday from 1-4pm, May through October. There's even more to explore! Learn more about other local landmarks at HistoricMetamora.com.